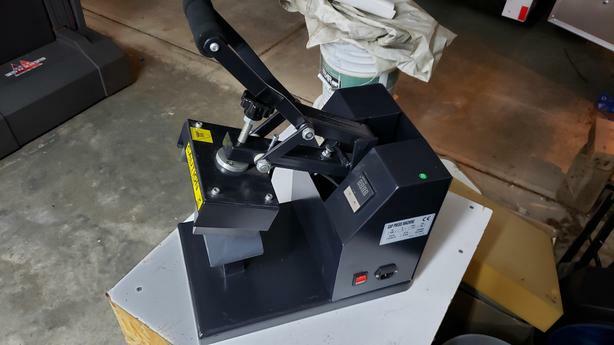 Heat press for applying heat transfer vinyl or plastisol transfers to ball caps and other curved items. Also works for pressing custom garment tags. In good working condition with very little use. I have another one so this one just sits collecting dust!